Millions of rocky objects orbit near Earth. Scientists have identified thousands of asteroids, but there are many that are still unaccounted for that could threaten regional or global disaster. Finding these asteroids may prevent a destructive impact—and may also prove a key resource to future space exploration. This post explores our mission to find dangerous (and resource-rich) asteroids, and reviews the recent US law passed on asteroid mining that some speculate could result in a new trillion-dollar market for the space industry. The following information was curated from excerpts of previously published Singularity Hub articles on space exploration. Though this series isn’t intended to be all-inclusive, we hope collecting a few key developments and insights in one place will deliver a broader view on the field. Special thanks to Jason Dorrier and Sarah Scoles for their works quoted here. Arizona’s mile-wide meteor crater was formed by a 45 meter impactor—the blast could have taken out an urban area the size of Kansas City. 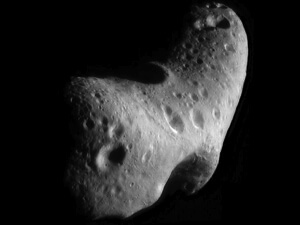 “Asteroids are a real and potentially existential threat. But if we find them early enough, they’re fairly easy to deflect. With years or decades, instead of months or days, a small nudge is all you need to make them miss Earth. “On September 29, 2015 NASA announced it was ending its connection to Sentinel. NASA said that in light of the mission’s shortcomings, the agency needs the money for its own projects. And luckily for planetary safety—and knowledge of near-Earth objects (NEOs) in general, even if they aren’t civilization-crushers—those projects include NEO discovery and tracking. Such pursuits are, in fact, a law. In 2005, Congress mandated that NASA locate 90 percent of all near-Earth objects 140+ meters across by 2020. With Sentinel not going quite as planned, and its promise remaining unfulfilled—perhaps not forever, but for its original timeline—what telescopes are tracking down and then continuing to track asteroids? [In addition to NASA’s ground-based asteroid-tracking telescopes], NEOCam is a proposed 50-centimeter-wide infrared telescope that would live in space, between Earth and the Sun, and would look for the heat signatures of asteroids. It aims to fulfill the congressional edict on 140-meter asteroids. It will work for four years and (hopefully) discover 67 percent of those large-ish asteroids, size them up, determine their chemistry, and map their rotation and orbits. 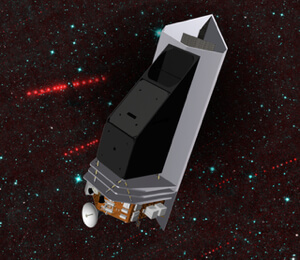 NEOCam hasn’t begun yet, but right around the time NASA announced they were defunding Sentinel, they announced that this mission had been selected as a finalist for the Discovery program, slated for potential launch by 2021. Over the next year, scientists will make more concrete plans for how it will work and how much it will cost. NEOCam would likely discover 10 times more NEOs than we know of now total. “On November 24, President Obama signed the “US Commercial Space Law Competitiveness Act” into law. Among other things (like that the government should not pester SpaceX), it states that any US citizen who takes a chip off an old block of asteroid then owns that chip. And their joyousness makes sense: Without this law, they wouldn’t make money if they ventured to a space rock and mined its titanium. They wouldn’t own that metal, so they couldn’t sell it. Now they can. And that’s key if this new breed of space business is going to make it. But whether that market will materialize—and whether it’s actually legal, even with this law—remains an open question. That wraps up Space and Technology Review Part 3. Read Part 1 and Part 2, and stay tuned for Part 4. 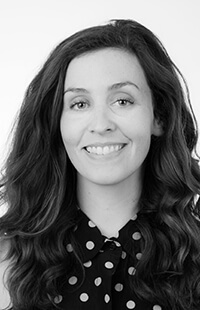 Megan is director of Content Marketing for Singularity University. Before moving over to the Digital Media dark side, she was known as the marketing engine at SU. She brings the same strength and stamina to Singularity Hub to create engaging learning experiences.